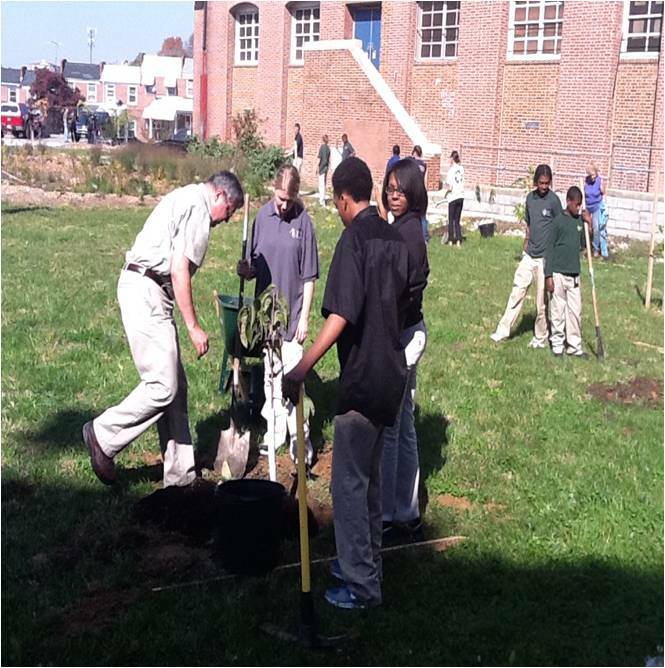 On October 24, 2012, over 30 fruit trees were planted to commemorate National Food Day. 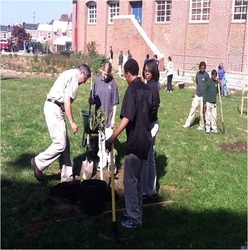 Tree Baltimore donated the trees. 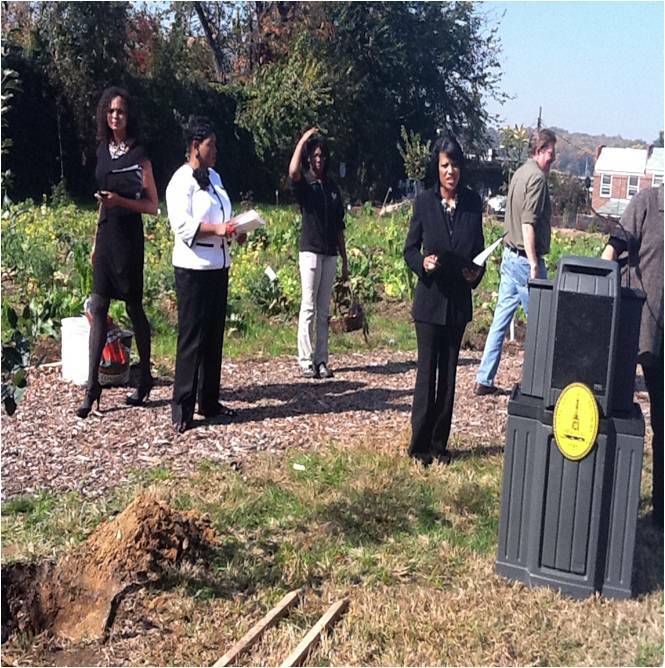 Mayor Stephanie Rawlings-Blake came out to ACCE to commemorate the occasion. The area where the trees were planted was once a huge parking lot. 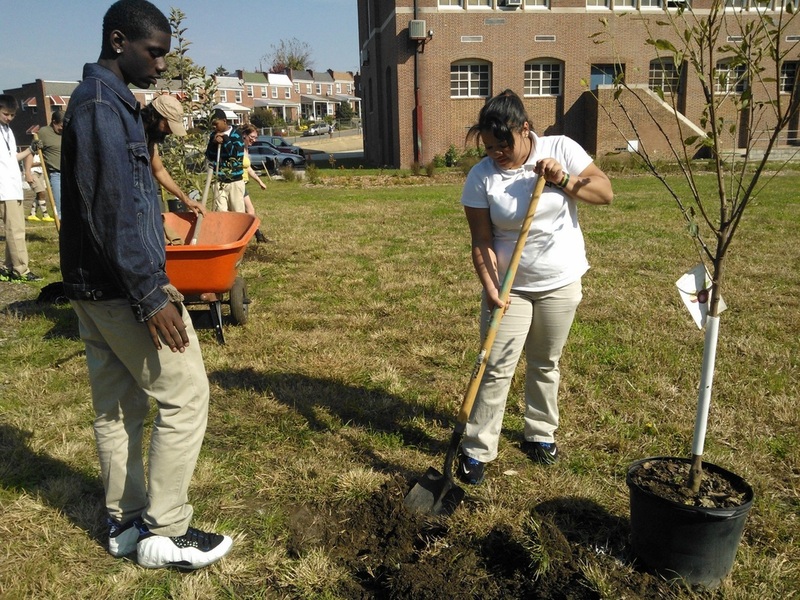 For the past two years, ACCE and its community has been working hard to transform the area into an outdoor garden. 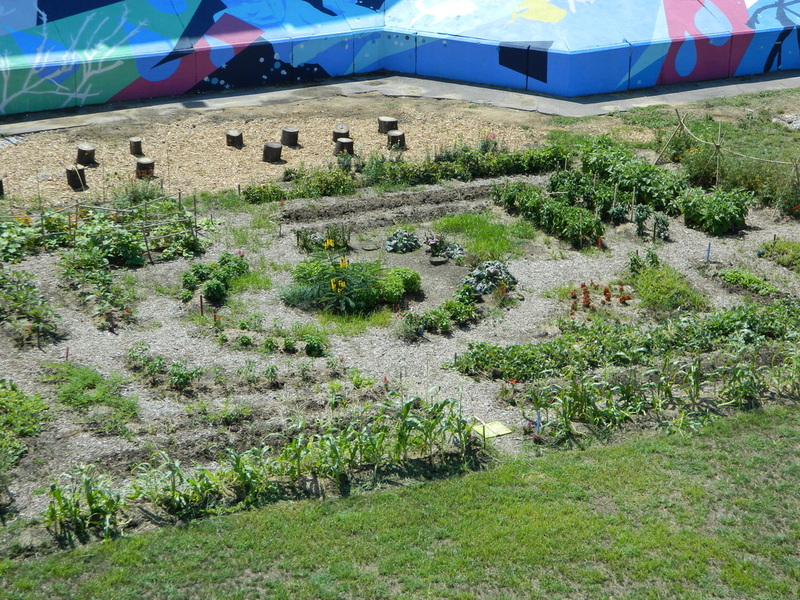 Now there resides a large vegetable garden that the students planted over the summer. The vegetables from ACCE's gardens have been distributed to students and staff at ACCE as well as the Hampden community. The middle school, ninth grade, and green team were particularly active on National Food Day. Mr. Eichman from the English team brought his students out on October 23rd. The students are proud of their efforts and are excited to try out the foods they planted.